Describing what you wish to achieve. If you know what you want, but are not sure how to express your ideas, business consulting firms can gather your thoughts. 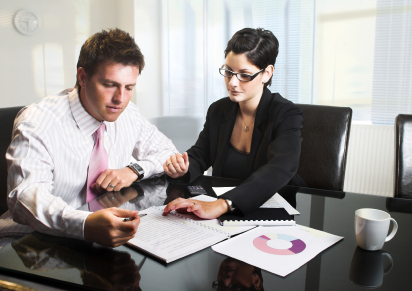 A business consultant will help you develop a long-term goal that begins with the end (the final outcome) in mind. Making your goals SMART. As you start to get a clearer picture about your long-term goals, a business consultant will help you make sure they are SMART (specific, measurable, attainable, realistic and timely). A good business consulting firm knows that visions or goals that do not meet this criteria are not viable or worth your time. Being open about factors that can affect the desired outcome. While consulting firms serve as motivators, they also keep you grounded. As you develop your long-term goals, your business consultant will help you find factors that can hinder the desired outcome. There are always barriers when you try to achieve a goal, and a consultant will help you find ways to break through or go around them so you can stay on track. If the barriers are too tough, business consulting firms will help you adjust a goal so it’s attainable and realistic. Helping you create a game plan for your goals. Part of setting a thorough, thoughtful long-term goal is creating a plan to make it happen. When you know what you want to achieve, business consulting firms will help you map out the “baby steps” that will carry you to the finish line. These baby steps are a series of short-term goals that will help you progress to the end. Business consulting firms help you answer the question, “What should I do?” so you’re proactive instead of reactive about goals. If you’re looking for a business consulting firm to help you establish long-term goals, please call 610-380-8735 or complete our online contact form.